A line up of 'Mainline' trains at Marylebone with 68011, 168003 and 67004 all in the companies silver livery. wear the silver Chiltern Railways colours. 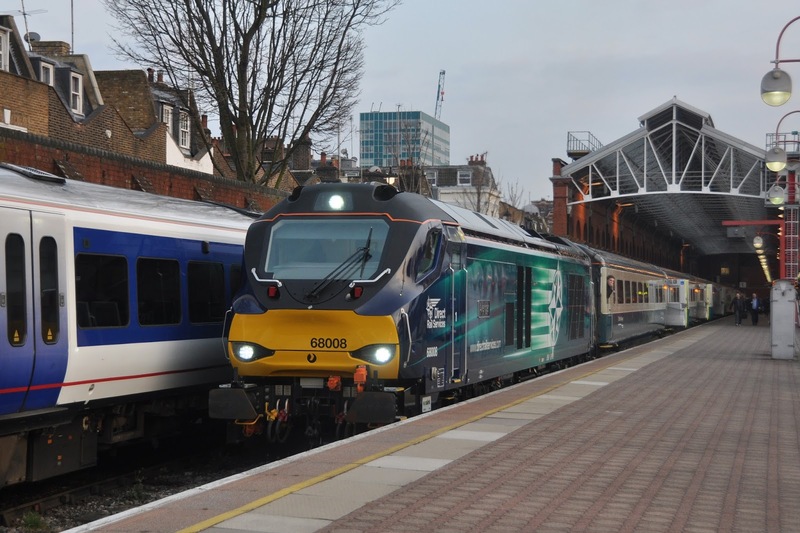 The Chiltern main line has become the best place to experience loco-hauled passenger diesel operations in recent years with the introduction of class 67's on many trains from London Marylebone to Banbury, Birmingham and beyond. Now it is time for a change as the class 67's hired from DB Schenker give way to Class 68's supplied by DRS. While the changeover was due to commence at the December timetable change delays with the new locos saw an extended stay for the 67's. Now however the 68's are starting to appear on services- first the Banbury commuter turn went over to 68 operation and now several through trains to Birmingham are charged with class 68's. which have not had the automatic door modifications. 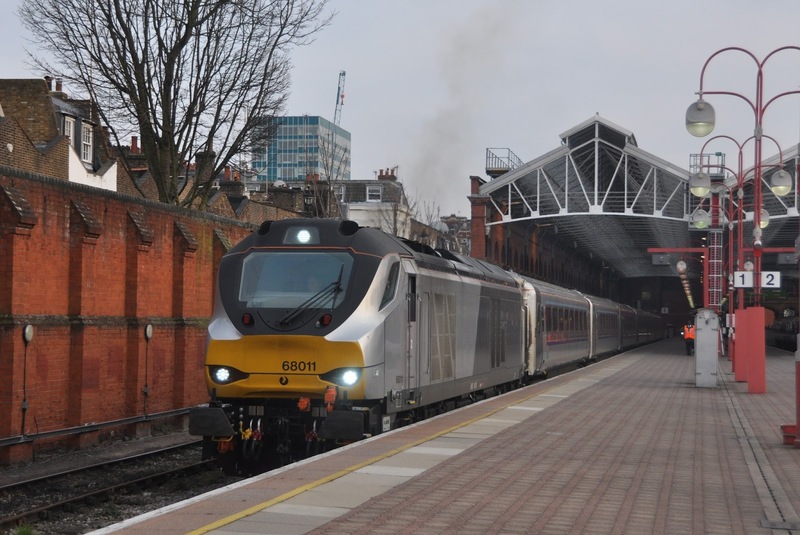 Chiltern Railways have six class 68's dedicated to their service and delivered in their 'mainline' silver livery. These locos have been modified to allow push/pull working with Mk3 coaches and Driving Van Trailers. Two additional DRS locomotives have also been fitted with the modifications. First impressions of the locos are good- they are smart, a nice shape (though I'm still not convinced by that dent in the cab front) and, almost surprisingly for a modern diesel- they sound good too! Hopefully they will settle down to provide excellent service for Chiltern Railways and for DRS and will be around for us to enjoy hauling Mk3 coaches to Birmingham for many years to come! Who would have thought just a few years ago that brand new diesels would be hauling trains from Marylebone!